This is a reliable and safe purchase. You won’t find a more customer tested device than the Swagway X1 and it has a good 4 star rating left by it's former customers who often come back to buy a second device. This is definitely a great choice if you are looking for the best hoverboard for kids. Reliable, This brand has sold so many pcs of this board that you can feel assure it is well tested and all early stage diseases would have been found & fixed by now. Technology, everything is top of the line. Distance, Fantastic 20 miles distance gives you a lot of freedom. Armored Wheels, Aluminum reinforced wheels. Certifications, FCC, RoHS, CE, WERCs, Prop65, UN38.3 and US based brand. Weight, It is a bit heavier than other devices. Color, you do not have a lot of colors to choose from except white, black & gold. X1 isn’t available anymore, check out the new T580 below! Since the swagway x1 isn’t available for purchase anymore we suggest that you do check out the new model which has a bunch of new safety features, including a new name, read our full Swagtron T1 review. So it was time for us to take a ride on the Swagway X1. 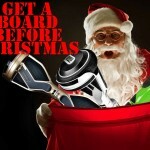 It has some great customer reviews and it is one of the most trusted and beloved hoverboards out there today. We had to see what all the fuzz was about so we went on and ordered one. At first glance the Swagway X1 doesn’t look much different than most of the other self-balancing devices but it really is. We’ve read some hoverboard manuals and this one comes with its own manual in good and grammatically correct English. (Something that has been a rare sight before) It has its own package and the board itself looks really neat. We got a white Swagway hoverboard for this review and it really is a cool looking scooter. It has a good speed of 10 mph but its triumph card is its distance. 20 miles on a single charge is by far the farthest we’ve gone on any self-balancing scooter. We love testing hoverboards for the purpose of helping our visitors making a good purchase thats why you should check out this hoverboard with music here. The device was shipped and delivered within the time frame and we received our board in 7 days. It was shipped from within the US and we didn’t find any shipping damages on the packaging. The device itself has a good simple, yet stylish design and it is built to last. It has high quality plastic details with reinforced aluminum plates on the wheels giving it a much higher scratch resistance. What you should consider to buy for extra protection is self-adhesive rubber to attach upon the wheel houses. Because every time you have to “abandon the ship” the device will roll over and it will cause it to scratch the upper side of the wheel houses, hence it’s a great idea to attach a stripe of rubber on each side and it will stay at mint condition for a much longer time. 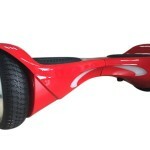 So what do the Swagway x1 has to offer? It has the best distance, much more than most of the hoverboards that we have reviewed and it have a great speed of 10 mph. It has a great high quality battery that takes about 1-2 hours to fully recharge and then you are ready to hit the streets again. This unit will never leave you stranded! It is quite heavy, at least these days when you can find self-balancing scooters that weigh about 2-4 pounds less. It weigh approximately 26.5lbs and it can be carried around with reasonable ease. We do always recommend that you buy a carrier bag for your device since that is a much better way to keep the scooter safe and it really is an essential item to have. The wheels are made out of solid rubber so you do not have to worry about getting a flat. I do however think that it is much more comfortable to ride a scooter with air-filled tires, but that is just a question of taste. Over all this is a great device and it gave us hours of good fun. Another good thing is that they have adjusted the price after the market and now the price more reflects what you get. I would definitely recommend this scooter for families with children since this is a perfectly safe and reliable hoverboard for kids to ride on. And what you get in the Swagway x1 is a reliable and fun hoverboard that will withstand the test of time and still receive great customer reviews every day. People recommend this device because it has high quality, moderate speed and a long distance for such a short recharge time. Even though its design is basic, there’s more too this hoverboard than meets the eye. If you feel like the Swagway X1 doesn’t fit you, may I recommend checking out our other self-balancing scooter reviews here.